The Streets Original Pirate Material reaches Zane Lowes Masterpieces. 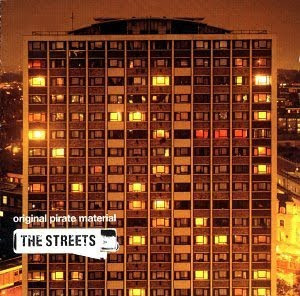 The Streets 2002 debut album Original Pirate Material has been honoured with Zane Lowe's Masterpieces 2009. BBC Radio 1's very own master of all things really-good-musakified DJ, Zane Lowe, will present The return of Masterpieces. Four of the greatest albums of all time will be played in full on Zane's shows as we learn about the influence these artists had on other successful acts. Also includes interviews with the artists involved. Masterpieces is renowned for it's success and being a commendable introduction of music genres to Zane's younger listeners. The Prodigy - Music For The Jilted Generation. Released May 2002 (UK) Original Pirate Material, the ground-breaking album about being young and raw, with piano loops through indie garage beats was completely different because it was so honest, sharing day-to-day circumstances at a time when everything else was either over glamorised or an utter sob-story. 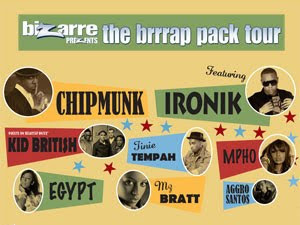 written, arranged, produced, 'beat-talked' and mixed by Mike Skinner, It is hard to talk about Original Pirate Material in past-tense because it was so fresh and true in 2002 - the same excitement and adoration is exuberated from today's generation when they too discover OPM for their first time. With well respected classics such as Has It Come To This? Lets Push Things Forward, Don't Mug Yourself, Turn the Page, Geezers Need Excitement, Its Too Late, The Irony Of It All and Weak Become Heroes, this was the album to gain Mike Skinner a huge amount of respect and loyalty from the fans that rightfully still stand strong by Skinners side today, as witnessed when an army of European Streets fans followed Skinner to each and every venue of The Streets October 2009 tour of America. The Streets Original Pirate Material will be aired on Tuesday 1st December. When asked recently by Zane Lowe "Have you heard the good news about Pirate?" 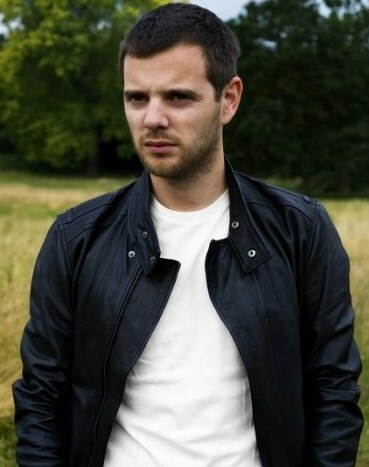 Mike Skinner replied on his Twitter feed "yes i got an email about it. cant really take it all in to be honest. those sorts of honours are very surreal"
Let us know what your favourite masterpieces are? Why you think they are relevant and who you think should have been honoured? in the comments box below. THE STREETS Original Pirate Material and A Grand Don't Come For Free makes NME'S Top 100 Greatest Albums of the Decade. The NME's Top 100 albums released between January 2000 and December 2009, as voted for by NME staff - past and present, plus a selection of musicians and industry figures that included Carl Barat, Johnny Marr, The Killers, Ian Brown, Jarvis Cocker, Pete Doherty, Elbow, MGMT, The Big Pink, Snoop Dogg, Alan McGee, Yeah Yeah Yeahs, Michael Eavis, Arctic Monkeys to name but a few. THE STREETS cut the top 10 with a swift number 9 for The Streets 2002 debut album ORIGINAL PIRATE MATERIAL and at number 16 THE STREETS are rewarded for the 2004 successor album A GRAND DON'T COME FOR FREE. This list is taken from the ‘End Of The Decade’ issue of NME magazine which is on sale 18th November 2009, where each album included is reviewed again from a 2009 perspective, alongside brand new interviews as well as a look back at the defining musical moments of the past 10 years. Personally, I feel strongly that The Streets 2008 released 'straight-up' album EVERYTHING IS BORROWED could have made the NME list proud as well. With it's peaceful, positive vibes encapsulating Mike Skinners usual charm and wit, boasting gig-goers and fan faves such as Heaven For The Weather, On The Flip of a Coin, The Escapist, The Strongest Person I know, On The Edge Of A Cliff and Everything Is Borrowed. EIB is the penultimate album of lyrical magnificence that swept up a huge wave of new fans onto The Streets scene to boot and held the hard-core anchored for more skiinner, skiinner, skiinner!!! The thing is with The Streets, within his 5 album Warner's deal, he has never released a below standard or average album, the four that have already been released (Original Pirate Material, A Grand Don't Come For Free, The Hardest Way To Make An Easy Living & Everything Is Borrowed) have all been of an original, diversified direction to the last and exceptional standard. The fifth and final Streets album is due for release in February 2010. 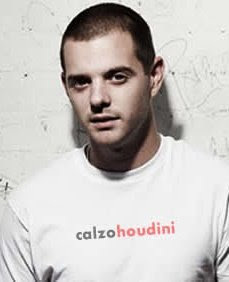 Fortunately, The Streets hard-core followers are already in-the-know that they are in for a euphoric treat after Mike Skinner leaked many ravey, dark and inspirational tasters for his new Computers and Blues album via Twitter and his Skinnerblog.com. It is going to be massive, honest, clever and unique because that's what Skinner does best. Addolorata 20th November 2009. Skinnermike's Casting Down Your Pod 9 - Beat Stevie. Last Wednesday saw Kid British at the MOBOs in Glasgow, enjoying the red carpet and performing with the Young Soul Rebels. If you missed the performance of 'I Got Soul' or if you just want to watch it again it is now available for fans in the UK via the BBC iPlayer. whereas this morning see's poor James at the dentist having his wisdom tooth pulled out. 2 injections and a lot of blood later we are hoping he is back on form soon because he will be playing the Guild of Students (14+) Liverpool in 2 days time. 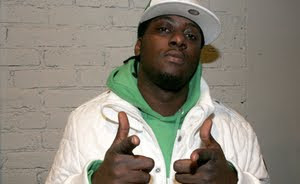 I got a moment of Adio's time to bring you part 2 of the Exclusive to Like The Sound interview with Kid British. Addolorata: Hello Adio, how old are you and what do you do for Kid British? Adio: iam 25 years young and iam a songwriter and part time vocalist! Addolorata: What is your proudest moment of 2009 so far? Adio: Being told by lynvial golding from the specials than we are the future as i listen to what people like him have to say than most people involved in music who claim to know it all . Addolorata: Who is big in your game right now? Addolorata: Our House Is Dadless is the third single to be taken from your debute album It Was This Or Football, will there be a fourth single to come from it? and what will it be? Adio: i should hope so ha it would be a shame if we didnt . Addolorata: The law is about to change. A defendant usually has the right to know who his or her accusers are, soon this will no longer be the case for defendants aged 11-30 charged with murder or manslaughter in English courts. In your opinion, is it right to use anonymous witnessess? Adio: i think that law change could cause problems because if the person is not fount guilty they may want to go looking for the accuser. Addolorata: If you wasn't in Kid British, what would you be doing now? Addolorata: V festival virgins aren't you? So how did that go at the weekend? Adio: it was amazing we really had a good time we were not really expecting anybody to turn up but on both dates the tent was packed before we got on ! Addolorata: Who is your biggest influence? Adio: we are looking forward to our tour in october and for more people to hear about us and get to know what makes us tick as we think many people dont know to much about us ! Big up for Ian Brown because he's done it again, what a great singer/songwriter he is. 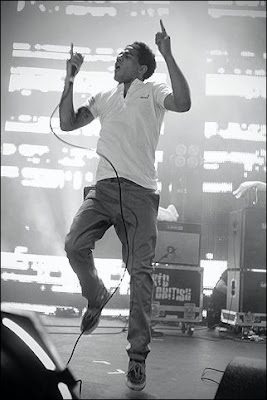 With Kid British Moho Live Manchester date just six days away, what better time to nab Simeon Mclean for an EXCLUSIVE to Like The Sound interview. Hi, lets begin by getting the formalities out of the way, What is your name? What do you do for Kid British? What is your proudest moment of 2009 so far? Simeon : Probably doing our album launch at HMV Manchester to a packed room. It feels good to know that you have got strong support from your home town. Who is big in your game right now? Simeon : At the moment probably Dizzy Rascal.. That guy just keeps getting better and better. The Courteeners are doing really well on the live scene also. Our House Is Dadless is the third single to be taken from your debut album It Was This Or Football, will there be a fourth single to come from it? and what will it be? Simeon : Well Our House Is Dadless is really classed as our first single as the others were just put out as limited edition singles.. only a limited number of them got produced so you never know we might re release one of them or surprise you all with another. Rest assured that whatever the song is it will be good. The law is about to change. A defendant usually has the right to know who his or her accusers are, soon this will no longer be the case for defendants aged 11-30 charged with murder or manslaughter in English courts. In your opinion, is it right to use anonymous witnesses? Simeon : Yeah i think that's fair. Does it really make a difference whether the defendants gets to see the accusers or not? I believe that the new law will make it safer for the accuser. If you wasn't in Kid British, what would you be doing now? V festival virgins aren't you? So how did that go at the weekend? Simeon : Yeah its the first time we've played V so we all lost our virginity's this weekend. We wont regret it as it was done out of love ha ha! It was an amazing experience, we played to a full tent at both sites which is a very promising sign of how things are going. Simeon : Nope not got a girlfriend or boyfriend as to have both would just be greedy. I wouldn't mind a girlfriend at the mo though.. do you know anyone that may be interested? "At Slottsjell in Norway, we got so well looked after i didn't want to leave, including prawn dinner, boat ride and sun hired in especially for the occasion"
From festival fever to swine Flu, crowd-surfing to boating, reel tape to real tapas dinner with Skinner and a lovely shiney new Gibson 335 - visit http://www.skinnermike.com/ for the outside inside view of where his heart has been in "What I did this summer part deux"
For more on what Mike Skinner and The Streets have done so far this year read my summary here January-to-August-2009-Skinner-way.